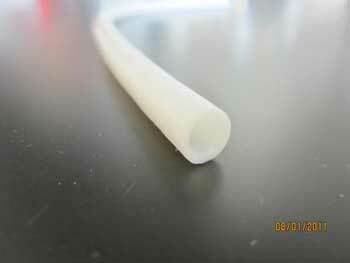 (Nanowerk News) In one of the longest follow-up studies of its kind, researchers found that their specially bioengineered blood vessels evolved into living tissue after human implantation. Researchers from Yale and the North Carolina-based company Humacyte published results in Science Translational Medicine ("Bioengineered human acellular vessels recellularize and evolve into living blood vessels after human implantation") on the progress of their bioengineered human vessels (HAVs). The results show that these vessels – devoid of any cells at the time they were implanted in patients – had taken on cells, transforming the structures into living tissues that could transport blood and self-heal after injury. They had, essentially, become the patients’ own blood vessels. “What it shows is that these implants really stimulate the recipients’ cells to repopulate the vessels and take on the characteristics we would expect in cells,” said Laura E. Niklason, professor of anesthesiology and biomedical engineering,and a co-founder of Humacyte. The vessels were implanted in patients with end-stage kidney disease. These patients typically receive hemodialysis three times a week. The procedure, in which a machine cleanses the blood of waste, salts and other material, is often administered through a graft made from a synthetic material such as Teflon. These grafts, implanted in the arm, carry a high risk of infection, clotting, and scarring so much that the vessel closes up. “If you take a Teflon tube and put it in your bloodstream, it’s not very biocompatible, so there’s a lot of failure modes,” Niklason said. The bioengineered human acellular vessels (HAVs) developed by Humacyte are formed by placing human donor cells of smooth muscle tissue onto a tubular scaffold. They grow in vitro and remain in a bioreactor for eight weeks, during which the scaffold degrades. All cells are then removed and the structures are cleansed of anything that could trigger an immune response. What’s left are mechanically robust, rope-like structures made from collagen and other proteins. These proteins are found consistently in humans, which is key element to the patients’ bodies accepting the vessels. The first HAVs were implanted in humans more than six years ago, and some of those early implants are still being used for dialysis. The research is one of the longest follow-up studies conducted on engineered tissue in humans. Humacyte is currently finishing up on a phase clinical 3 trial that compares the HAVs to synthetic grafts. The researchers are also enrolling for a second phase 3 trial in which the HAVs will be compared to arteriovenous fistulas, another procedure used for dialysis in which an artery is connected to a vein.